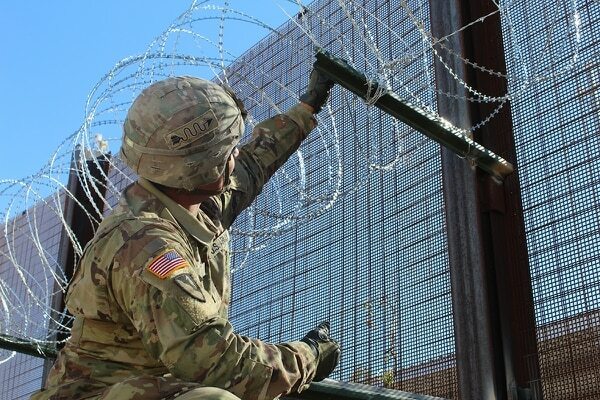 Hear Defense Secretary James Mattis tell reporters in a huddle that, though the Trump administration has expanded troops power to include lethal force at the border, there are so far no armed soldiers deployed there. "We don't have guns in their hands right now," Mattis said. A new White House directive authorizing U.S. troops to engage in some law enforcement activities on American soil, potentially including the lethal use of force, is being sharply questioned by security and legal experts, who are raising concerns about both its underlying legality and the way the White House issued the controversial order. The new White House memo authorizes Defense Secretary Jim Mattis to order “Department of Defense military personnel” to “perform those military protective activities that the Secretary of Defense determines are reasonably necessary to ensure the protection of federal personnel, including a show or use of force (including lethal force, where necessary), crowd control, temporary detention and cursory search." Security and legal experts interviewed by Military Times questioned how the military could conduct what they said were clear law enforcement roles — especially detention and search — and not run afoul of the 1878 Posse Comitatus Act, which explicitly prohibits active-duty military forces from conducting law enforcement activities inside the United States. “It’s like being a ‘little bit’ pregnant. You can’t be. You can’t engage in law enforcement without engaging in law enforcement. Those are law enforcement functions as they have been defined for hundreds of years in the United States," said William Banks, author of “Soldiers on the Home Front: The Domestic Role of the American Military,” and the former director of the Institute for National Security and Counter-terrorism at the Syracuse University College of Law. The price tag includes the costs of bringing troops home. In a break from how the president has authorized other military actions along the border, the new authorities were submitted to Mattis via a “Cabinet memo” signed by White House Chief of Staff John Kelly instead of a presidential Executive Order. President Donald Trump did sign a precursor to that Cabinet memo, an internal “decision memo” that was obtained and published by Newsweek. 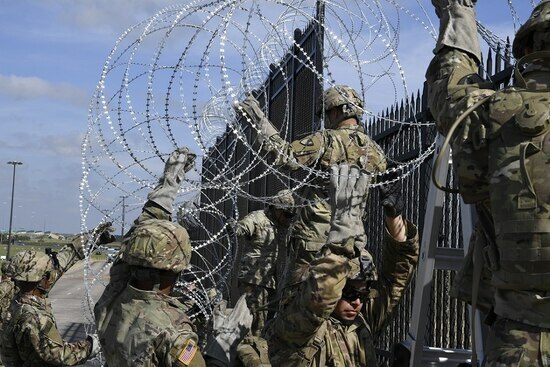 In an interview with reporters Wednesday, Mattis again emphasized that the approximately 5,800 federal active-duty troops deployed to the border would not be armed, and said they would not conduct arrests or find themselves in a law enforcement role. Lindsay Cohn, an associate professor of political science at the Naval War College, questioned whether a “Cabinet memo” could legally direct Mattis. “The biggest issue with the legality of the memo is that it was signed by John Kelly and not the president, and the kind of authority it appears to be delegating seems like it would have to come from the president,” said Cohn, who was speaking in a personal capacity, and not for the war college. The White House issued the order despite reported warnings from White House counsel Emmet Flood that it may violate the Constitution. Mark Cancian, a retired Marine Corps colonel who is now senior adviser with the Center for Strategic and International Studies International Security Program, said reading between the lines of the memo reveals as much as the actual language. “You can feel the nervousness in this memo,” Cancian said. “These additional powers are at the direction of the Secretary of Defense. So there’s a hedge in there," that would absolve the president if something went wrong. Mattis said Wednesday that the memo has granted the authorities, but he won’t necessarily change anything about how troops are operating now unless asked to do so by the Department of Homeland Security. 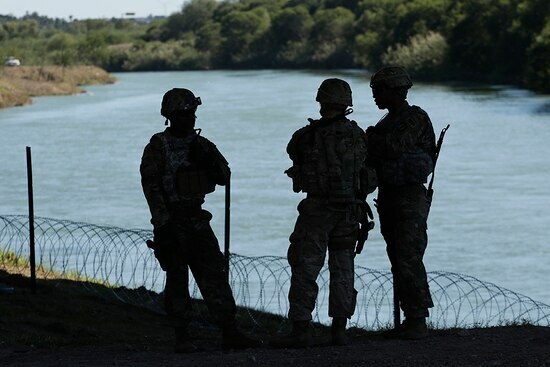 “Still, if the authorities were used, it would be a major escalation of military function at the border that we haven’t seen in decades,” Cancian said. There is an added twist at the end of the Cabinet memo, in which Kelly writes that while “The Secretary of Defense shall determine the duration of this deployment,” Mattis “shall consult with the Attorney General and Secretary of Homeland Security prior to withdrawing Department of Defense personnel." That is a “big red flag that this mission is not militarily necessary but is a law enforcement mission,” said Mieke Eoyang, vice president of the national security program at the Third Way think tank. Cohn noted that the term “consult” in that memo “usually does not mean [Mattis] has to get their agreement, just that he has to inform them.” And while consulting with DHS isn’t surprising, given the mission, she calls the inclusion of the attorney general for this particular process “unusual." “I’m fairly sure that’s because Trump doesn’t trust either [DHS secretary Kirstjen] Nielsen or Mattis right now and wants to make sure that someone loyal to him is notified of any movement before it happens, so he can shape the narrative and not get caught out by a fait accompli,” Cohn said. On Thursday, thousands of migrants reached Tijuana, Mexico and the U.S. border crossing into San Diego, California, creating a tense standoff with U.S. border protection guards.